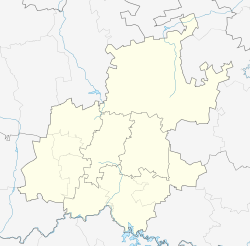 Sebokeng is a township in southern Gauteng, South Africa near the industrial city of Vanderbijlpark (located in the district municipality of Sedibeng and the local municipality of Emfuleni). Sebokeng, which literally means "gathering place" in SeSotho, was established by the then apartheid government in 1965 when 18,772 houses were erected. In September 1984 there were violent clashes between the South African security forces and the residents of Sebokeng, who were boycotting rent and service tariffs. The cessation of fighting in 1994 allowed citizens to begin forming a stable community. The township is divided into a number of zones ranging from Zone 3 to Zone 24. After South Africa's democratic elections in 1994, the number of middle-class black South Africans or 'black diamonds' in this township has risen dramatically, with Zones such as Zone 6, 10 and 14 consisting of the largest number of black middle-class citizens and homes with a higher property value than traditional Apartheid 'matchbox houses' (four-roomed houses erected during the township's establishment). The township is predominantly black, but there has been an influx of people of other racial groups seeking to live there. 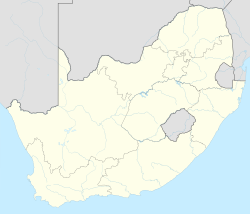 Sebokeng's lingua franca is SeSotho (this can be explained by the fact that the Vaal Triangle is located very close to the Free State), which is spoken by all residents as either a first, second or third language. Other languages spoken are isiZulu, isiXhosa and SePedi to a lesser extent, However SePedi and isiXhosa speakers have a sizeable number at Kwa Masiza hostel. Primary schools in Sebokeng are divided into language groups with each school having only one language as a medium of instruction at lower grades but this arrangement of languages ceases to exist at high schools where you will find all the languages which are spoken in the township being taught in each high school. Many of the residents of Sebokeng have opted to using entrepreneurship as a means of earning an income since 1994; before then entrepreneurship was strongly discouraged by the Apartheid government and black men were preferred to work in the neighbouring suburbs of Vereeniging, Vanderbijlpark and Meyerton as cleaners, garden workers, delivery boys, etc. The types of businesses run by residents range from formal businesses such as beauty shops, pubs, petrol garages and night clubs to informal, usually home-based businesses such as spaza shops, hair salons and shabeens. In 2002, Sebokeng's first Plaza, Sebokeng Plaza was opened to serve and employ the residents of Sebokeng and neighbouring townships and in 2009 they build another plaza which is Thabong plaza and they are currently converting it into a Mall. Developments to upgrade the railway station near Zone 10 began in 2010 and are still underway. Many roads in Sebokeng have deteriorated and remained untarred for more than 30 years. Developments to re-tar many of these road began in 2009, but have been stalled due to tender disputes. Many of the roads of Sebokeng were left unnamed by the Apartheid-era municipality and thus 7-digit house numbers are depended on for navigation through residential areas. The longest main roads of Sebokeng are Moshoeshoe Rd (named after the Sotho king, Moshoeshoe) and Adams Rd in Evaton. Some of Sebokeng's notorious high-crime zones are Zone 7. Many gang-related homicides have taken place here since the Apartheid-era until the present. Zone 7 also have a high unemployment rate. The Vaal Triangle's D8 education district offices are in Zone 18 next to Residentia High School. Vaal University of Technology's Sebokeng campus is also in Zone 18, as well as the Sebokeng Training College. Neighbouring townships include Boiketlong, Evaton, Beverley Hills, Orange Farm, Small Farms, Boitumelo, Polokong, Golden Gardens, and Lakeside. ^ a b c d "Main Place Sebokeng". Census 2011.